If your looking for the finest USDA Certified Meat that money can buy then look no further because it's coming to the Shark Tank Show. Dave Alwan is from Bartonville, Illinois and the owner of the well established Echo Valley Meats has a reputation second to none. Quality has always been #1 in this 16 year old business and now Dave is looking to expand in a major way. With a few brick and mortar stores successfully open and a very successful Holiday gift catalog that continues to grow in numbers, where else is left to expand on his gourmet meats? Maybe Echo Valley Meats could expand into the lucrative catering market for weddings and parties? Actually Dave's already developed and been in this market for at least the last 6 years that's become a successful business all in itself. 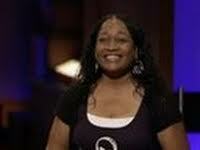 Could this be the reason why Alwin has chosen to bring his already successful business into the Shark Tank? A franchise play to increase his over-all sales for Echo Valley Meats? Dave also has several successful products being made with private labels which could be an even bigger potential market. Word has it that even The Swiss Colony uses the Echo Valley Meats products within their catalog. 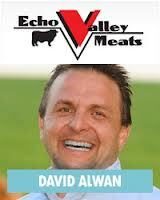 With so many successful profit centers already in place, this will be most interesting to learn what direction Dave has in store for the Echo Valley Meats Brand. To further build the Echo Valley Meats awareness within the community, Alwin also offers Deer processing during the hunting season. (When does this guy ever sleep?) Folks get to learn first hand about the quality of the Echo Valley Meats Brand that leads to several customers returning long after the venison is gone. This is a tough one because of how long Echo Valley Meats been in business and how successful Dave has already created in this trusted brand. Why would Dave Alwin want to bring in a partner (let alone a Shark) and give up part ownership in the company after 16 years of complete control? Obviously he has even bigger, more ambitious plans and needs the Sharks help to make them a reality. The Sharks like BIG DEALS and this may be a whopper of a deal that Dave has in mind. With so many verticals within the same general meat market, look for some very impressive sales numbers to entice the Sharks into a deal and possibly make one of the most interesting set of negotiations ever seen on the Shark Tank Show. Quality USDA Certified Meat delivered to your door is something everyone would be interested in, especially if you are a hungry Shark looking to make a deal. With the best quality of any gourmet meat on the market also comes a price tag to match it. This is not your every day cuts of meat most could afford on an every day basis. 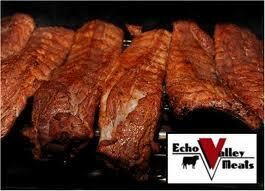 But if your looking for the Best of the Best then the Echo Valley Meat Company simply is the Best Meat Money Can Buy! The Sharks should of invested with you David. You did well with your spot on shark tank, just get that website up n runnin, I for one will try your products..congrats on your marketing strategy. Congrats on your marketing strategy by appearing on the Shark Tank, get your website up and running, I am a new customer. 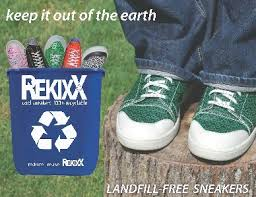 I saw you on Shark Tank and could not believe they didn't invest with you and your product--They sure ENJOYED your food and to me that's a winner-I will be ordering your products soon-I guess by their reaction to your product, they surely did you a favor anyway. THANKS and GOOD LUCK with your business. Just watched your episode. Sorry no investment. Good luck to you. My husband and I will be placing an order. watched the episode from canada. i want to see if i can order some of your delicious meats!! I think you did very well in your spot in the tank, I was surprise you didnt get a deal, I disagree with the sharks, there is a market for your product and you have a new cutomer in me. Look forward to tasting your meats. Good Luck!!! Dave Alwan and Echo Valley Meats is the real deal, folks. I have lived in Dallas and St. Louis - two cities known for their respective BBQ prowess, and I can tell you that it doesn't get any better than Echo Valley. From beef brisket down to their boneless pork rib (which, by the way, I tried for the first time last weekend and I'm hooked), Dave Alwan simply smokes the competition. My son bought me a package of ribeyes for my birthday, received them yesterday, I'll let you know, they look great. The sharks missed a good business opportunity! His products looked wonderful! I will be checking them out myself soon! 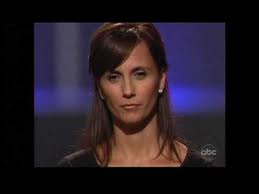 Just watched Shark Tank, 7/26/2013. After the first five minutes I had to get to my computer and the site was down. How can I order? I just saw the follow-up on the Shark Tank tonight. All I can say to the owner of Echo Meats is WEAR GLOVES WHEN HANDLING MEAT. Yuk! I just saw the follow up on the shark tank. I was in shock watching the employees handling all that meat without gloves. I'm a professional in the medical field and gloves help prevent foodborne illnesses.